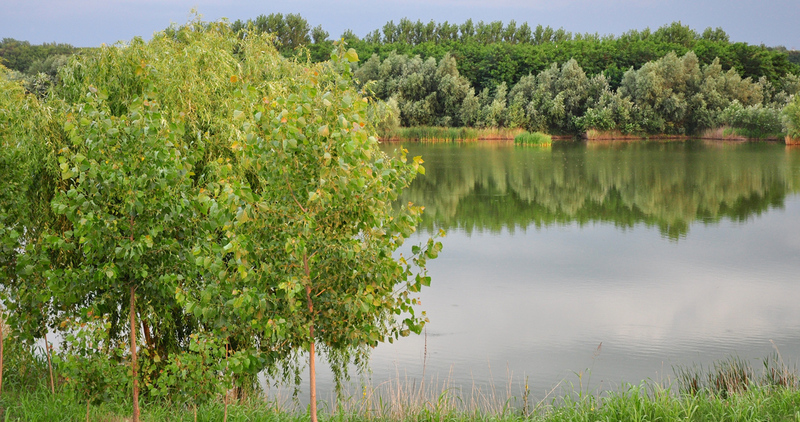 There is no carp lake in Romania that I like better than Lake Varlaam at the moment. Any fish you catch may well be a huge carp which makes it so interesting. It's been said before, that lake is like no other in our area (at least no other lake that I know of) in terms of landscape and also facilities. The gravel lined access road is safe regardless of weather, all swims are very comfortable, you can hire a boat or electric motor, you can charge your equipment, you've got secure parking, the gates are locked up at night and the prices are fair. I can't imagine a first time visitor not wanting to come again. And then there's the carp. They are big, fabulous looking with great shapes and colours and keep getting bigger every year. Sector A is fairly small at 7ha and is really nice and quiet. Many anglers have got to know each other well so fishing Varlaam is sometimes like having a social. I've smashed my personal best several times since fishing here with 20kg+ carp. The biggest I've managed so far is a 24,5kg common and I wouldn't mind catching it again as the weights are always going up. If you're after big carp which are never easy to catch, this is the place for you!